With extensive cataloguing and written down records, students are provided a vast and user friendly index to choose from. And after acquiring the books they are permitted to keep them for a time period of 15 days at a stretch. After 15 days the books can be renewed for another period of 15 days depending upon the availability of the books. Faculty members are allowed to issue 5 books for 30 days, they are also allowed to reissue their books. A special feature of the Central Library is the Book-Bank System which allows the students to issue 3 books at a time for an entire semester. Not all the books recommended in the various courses, disciplines and syllabi are easily available or pocket friendly for the students. The Book-Bank System was started to assist the students towards this end. They can acquire such category of books and other materials from the library and use it for their benefit and convenience. Another salient feature of the Central Library is that along with a print version it also houses a similarly vast digital library which can be accessed from anywhere and anytime by a unique identification handle. Students can access and read all, while download some of its contents. Along with the national and international print journals, the library has access to two online journals, the IEI Series and the J-Gate. 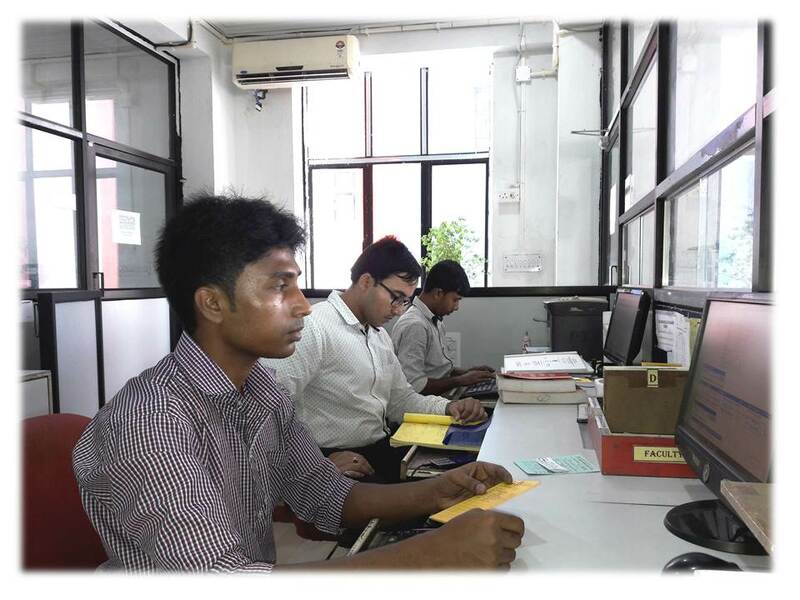 The Central Library is also an active member of National Digital Library and e-Shodhsindhu. With the scanned images of the cover and the page of content of all the books uploaded on the web, the students can digitally go through each and every one of them before requisitioning their print version. This helps them to assess and understand their requirements better. Along with this, free and open access to NPTEL service is also provided to all concerned, making the Central library a hub of digital learning. The Library also plays host to a variety of co-curricular activities like the User Awareness Program. The library may be regarded as an essential instrument for putting progressive methods into practice and at Brainware we strive towards transforming it into a holistic centre of learning and enlightenment.